Of all the domestic issues the presidential candidates debated last night, the one that evokes the most passion within me continues to be avoided: If we want to achieve success as a nation, we need to work on our branding. Starting with cheese. America, you are better than American cheese. In fact, I hate your cheese. It’s not actually cheese at all. This cheese is killing me. 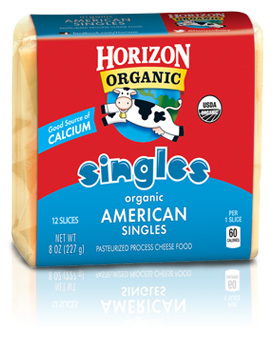 While my distaste for the plastic-wrapped “single” cheese product dates back to my discovery of actual cheese, my recent fury is inspired by a string of breakfast-sandwich mishappenings. New York City is the mecca of sandwich. Our delis promise succulent possibilities between two slices of bread or halves of the bagel. In all their griddle glory, breakfast sandwiches are an NYC morning comfort food. Even Our Lady of Domesticity Martha Stewart shares a recipe on her website for a “New York Deli-Style” sandwich. The infamous “egg and cheese” – or “bacon, egg, and cheese” if you swing that way – is a simple art consisting of two components: 1) the namesake or soul of the sandwich, egg and cheese 2) a main carbohydrate group in which to envelope said inners – bread, roll, or bagel. On special occasions, there are enough free seconds in the morning commute to request the addition of a plant-derived element, like tomato, onion, or avocado (the latter being saved for fancy days). While I’d estimate myself to be a bi-monthly breakfast sandwichier (pronounced “sand-wi-shay”), I have learned that local sandwich artists consider egg and cheese to contain American not-cheese by default. “I am programmed to specify my cheese to avoid such an incident,” says fellow New Yorker Emily, who rates her sandwich knowledge in the top 1 percent. Since Kraft Singles and the like are not legally allowed to be called “cheese,” I question how establishments get away with serving them on a product called “egg and cheese.” Just look at the packaging – nowhere does it say “cheese.” It has to be sold as “cheese product,” even if it’s claiming to be organic. If I get a sandwich with American cheese, I won’t eat it. This is where I draw the line. How can I eat something that’s distinguishable from its packaging only by color? I’m not alone in my thinking, as a school in Tucson caught onto this sentiment in 2010 upon banning American cheese. To prove that American cheese is a devilish substance that is slowly killing us all (and to validate my feelings), I conducted a focus group, interviewing a select group of omnivorous friends. Members of this group hailed from such varying locales as: Jackson, Tennessee; Columbia, Maryland; St. Ignace, Michigan; and Cherry Hill, New Jersey. All now live in major cities. I went into this exercise expecting feedback like “it reminds me of my childhood.” After all, it wasn’t uncommon to open a fridge in my grade-school days and see that shiny red, white and blue logo adorning the bottom shelf. 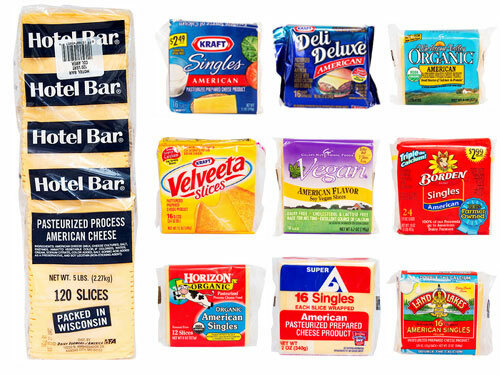 Everyone I knew ate low-fat Kraft Singles as children. And margarine. Before we realized that food-like substances and hydrogenation were the enemy, we steered clear of saturated fat. The truth is that consumers continue to buy legally regulated not-cheese, often because it’s what the government provides. Perhaps therein lies the real problem, which is a whooooole other story. I urge us all to band together as a country and just say “no” to American cheese. This entry was posted in Uncategorized on October 4, 2012 by secondhandmuse. Very clever! Says this lactard…. How’s the Sat course going?? We missed you at the party. Did you move yet? Rob and I r in Dan Diego (he has a mtg)….Jordan coming down tomorrow to spend the wknd with us. Yeah! Love, Jo P.S. hope you guys will join us again for Thanksgiving?